Janmashtami 2018 Date and Time: Janmashtami is thoroughly celebrated by the devotees belonging to Hindu religion all across the world, will fall on September 3, this year. Janmashtami also known as Krishna Janmashtami or Gokulashtami lauds the birthday of Kahna, the eighth incarnation of Lord Vishnu. Janmashtami 2018 Date and Time: Janmashtami is thoroughly celebrated by the devotees belonging to Hindu religion all across the world, will fall on September 3, this year. 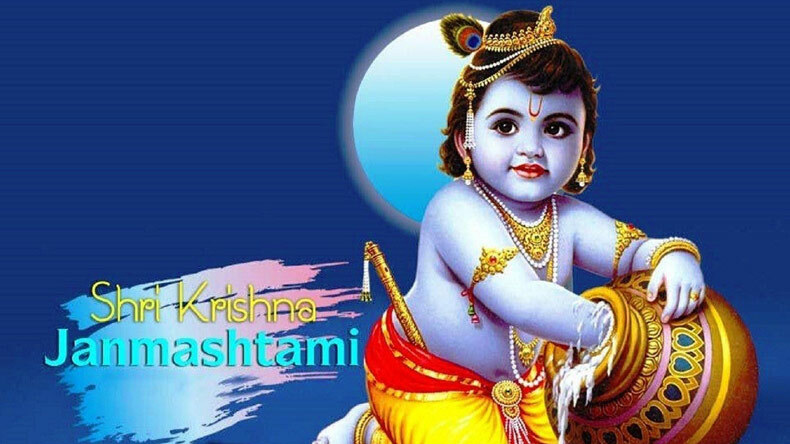 Janmashtami also known as Krishna Janmashtami or Gokulashtami lauds the birthday of Kahna, the eighth incarnation of Lord Vishnu. According to Hindu luni-solar calendar, the auspicious day falls on the 8th day of the dark night, Krishna Paksha in the month of Shrawana. In some part of India, the festival is referred as Sri Krishna Jayanti and thoroughly lauded by fasting and worshipping Lord Krishna until midnight. The very next day of the auspicious day is known as Nanda Utsav, which is dedicated to Lord Kahna’s parents Nanda and Yashoda. Gokulashtami or Gokula Ashtami in southern parts of India, devotional songs are sung in order to please and praise Krishna. While devotees in Bangladesh celebrate Janmashtami on the national holiday. One of the most famous activities held on this day is Dahi Handi. It is believed that Lord Krishna established his kingdom in Dwarka, Gujarat. Dahi Handi also known as Makhan Handi(a pot with fresh butter in it). On the other hand, people perform folk dances in temples while others visit the famous temple Dwarkadhish Temple or Nathdwara. In some parts of Gujarat, farmers decorate the bullock carts. Puja Vidhi: Devotees on this day fast, sing, pray and prepare special food for their beloved lord. While some visit Krishna or Vishnu temple in order to be a part of Bhagavata Purana and Bhagavad Gita recitation. Rasa Lila or Krishna Lila is also held in the temple in order to celebrate the birth of Kahna. Worshiper celebrate Rasa Lila in Mathura region as well as Manipur, Assam, Rajasthan and Gujarat.